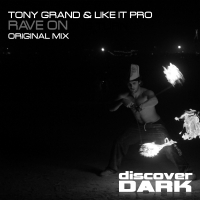 Tony Grand - resident AVIVMEDIA Radio, producing his own radio show "Reunion" in style Trance, Progressive House, Uplifting Trance & Progressive. Electronic music has been since 2006. In 2014 I started actively engaged in writing his own sound. Member and founder of the joint project "Tony Grand & Yuri Pike". Collaborates with labels - Beyond The Stars, Freegrant, Ternary, Azima, Melancholy Records, Atmosfera, Shamania and others.